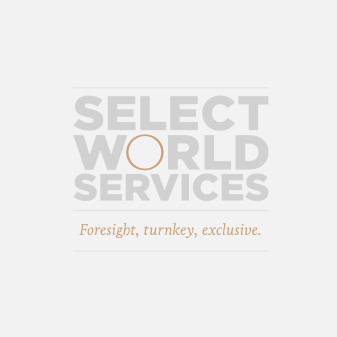 Select World Services (SWS) is a global, full-service event company offering complete 100% turnkey event planning & management services, programming & production, entertainment & special event coordination, and event promotion. Our services are available throughout the globe to assist companies in delivering highly effective, result driven events, proven to deliver ROI. will save organizations time, money and resources. We pride ourselves on a high quality, executive approach to deliveries. Our experience and reputation for excellent customer service and returns on investment make us stand out for the competition. that share a common interest or face a common goal, businesses will thrive. Revolutionizing the way Senior Level Executives around the globe do business. Thank you for inviting me. The event was very well organized and executed. Service was superb and distinct. I have been in similar events with other organizers but SWS’s preparations, attention to detail, venue choice and overall service/dinner was excellent. It was a true ‘executive’ event/dinner experience, well done. As for the learning and exchange, as always it depends on participants contributions. I am pleased as I had a good chance to connect, ask questions as well as test my views and get feedback. I would love to join again if there is a matching content/context, thank you for offering. This was a superb event. Well thought through: great agenda, excellent delegates invited, superb setting, outstanding logistics and superbly executed. The event was a credit to Angela DiNatale and her entire team. I would recommend SWS in a heartbeat and will gladly support any future events through my participation. The event was well organised. Thought leaders had the opportunity to share their organisational challenges on digital transformation and take best practice from others in the middle of their respective change agendas. I have always known this, but what was a welcome reassurance was; digital transformation is beyond the technology, you need the “human touch” to make any change successful. Look forward to future events. I found the evening with SWS really useful. The guests were top flight and really relevant to the conversation around digital. Good clustering of guests in key industries and also fantastic food, wine and venue. Again, thank you for the invitation to the event. May I first offer praise to you and your team as you planned the event to perfection. l can only imagine the many pieces that go into play to pull off an event like this and all the hard work. It showed in how professional and gracious you all were during the entire evening. The topic is timely and the presentation was interesting and I have requested a copy as I would like to review at my leisure. The presenter was truly brilliant and kept the conversation going to make the evening an enjoyable event. I enjoyed meeting and networking with all the other attendees, including the Citi folks who I did not know until this evening. SWS did an outstanding job organizing and executing our executive events. They successfully recruited executives in our target accounts with the very senior titles that we had specified. We heard many positive comments from our guests about the excellent service that SWS provided. The venue for our events was top notch, and our attendees enjoyed an evening of lively discussion and a five-star fine dining experience. Above all, we accomplished our objective of getting feedback from important stakeholders about a new market initiative that we are pursuing. The SWS staff are very responsive and a pleasure to interact with. I would highly recommend the SWS team and would not hesitate to use them again in the future. It was the first time I attended an event that was set up in this way. Mix and level of attendees was according to my expectation. I connected after the event already with some attendees via LinkedIn, so good from networking perspective. Well organized and excellent location/food. It was a beautiful setting, interesting participants, a topic of interest and all very smooth organized. The atmosphere, the food, the great presentation and above all the interesting people. This was a well-organised event. My compliments to you and your team. All communication towards the event showed a great sense of customer focus. With a warm welcome by the SWS team, especially the direct introduction to some of the other dinner guests did help immediately starting the conversations. I can also confirm the venue lived up to the expectations, as expected L’Europe delivered a high-quality menu which was very much enjoyed. The group was nicely balanced between Energy, Banks & Telco’s providing some diversity on one hand while still having related experiences and issues on the data and digitalization area. That would also be my tip for future sessions to keep groups like this: familiar businesses on one hand and with new insights from other businesses. Thanks for inviting me, would love to return at any future event. And a compliment to Tom the driver of the day to finalize the good experience. Thank you for your e-mail, and thank you again for organizing the event. In my opinion, it was a very good evening. The organization was perfect, and I enjoyed the subject matter. SAP security is something that has always been important to me, but I never had a chance to discuss it with such a relevant peer group. I really enjoyed the dynamics of the evening. I think we had a great discussion – I learned quite a few new things, got to know some new “colleagues”. What more can I ask for? I look forward to an opportunity when our paths cross again. The evening was really well organized and very beneficial. It was extremely interesting to exchange views with people from so many different companies and backgrounds. Initially, I had questioned whether the planned time of >4 hours was too long, but time flew by – definitely a worthwhile evening! It was a very interesting event thanks again for the organization; It was a great opportunity to know the speaker and exchange with their consultants and their success stories which allows me to know the scope of the company and also to have some information about what the other firms put in place. It was also very interesting to exchange with people from other banks (Banque de France; LCL, Barclays …) and also people from industry. Networking with others in the industry was greatThank you for invite!! Great evening in a great surrounding. A good company from a variety of industries, compliments. Good discussion about Cybersecurity and Data protection regulation. Everything was perfect! I enjoyed very much the evening, exchanged a lot of information with my peers, and of course enjoyed this great location. Once again, many thanks for this unique opportunity to meet some peers we don’t have the time to meet in the every day’s life! I enjoyed the event and the discussions – overall a great evening. Location and chauffeur service are perfect and don’t change. Thanks for a very interactive and engaging evening. I was humbled by the invitation and service. Thank you for the excellent hospitality and great service from the pick up to the cocktail and dinner. I think it was a great mix of different stakeholders in the ICT or IoT ecosystem. I think there were consistent themes about how lots of organizations are trying to develop strategies to capture the value and opportunity of the IoT ecosystem. It was a pleasure to be there and share our journey and thoughts but also importantly to learn and listen to different perspectives from wise industry colleagues. I think these are also great opportunities to network and find business synergies and potential partnerships and collaborations. Thank you for the invitation. The evening was a great moment with highly valuable contacts, insights, and warmth in the discussions. I really liked the first “round-table” where everyone introduced him/herself. It was an innovative way to break the ice and get to know ourselves. I liked the presentation, useful and sharp. It would be a pleasure to participate in such event. Thank you very much again. Many thanks again for the invitation to the Executive Dinner! It was a great & interesting evening. Good mix of executives and speaker. It was very interesting & valuable to discuss with executives from different companies/industry sectors what their cybersecurity challenges are. The event was great. The setting allowed good opportunity to meet and discuss with peers on the topic and share challenges. The moderate did a good job of providing insight while getting audience participation to keep the discussion engaging and relevant. We discussed as a follow-up is to go deeper into specific areas like PaaS, IaaS, sales models … the structure would be to have a couple of use cases to share and use them to educate and engage in a deeper discussion. I found the event was well organized with clear instructions in advance, the venue was fantastic as was the food. The reception on the balcony was fabulous. I very much appreciated the “no pressure” nature of the event, it was an excellent opportunity to network and canvass opinion on the subject matter in hand, I made some useful contacts. 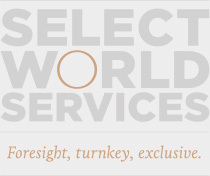 I have no criticism of the event of its organization and would appreciate any further invitations to future Select World Services events. Thanks for the nice evening with great guests and inspiring talks. The ideas and aspects I took with me are surely worth starting an internal discussion on the matter. A well worth investment of my time. Not only to hear about IDENTITY, but also the opportunity to network with the other executives. Thank you so much for the’ Executive Dinner “Aligning InfoSec and Audit to Automate SAP Cybersecurity”. My thoughts about the evening are excellent. Again, excellent dinner to ensure value of exchange with peers. I give a 9/10 regarding this event. The Executive Dinner was excellent from my point of view. Very interesting mix of participants, an inspiring presentation with resulting engaged conversations around it, combined with an outstanding venue and F&B. It was a pleasure to have been there. We’ve worked with SWS on 2 events over the past year. We were impressed by their ability to identify key contacts and the actual attendance level at these events. Our team got to interact in an informal manner with participants and create some fantastic connections. We look forward to working with them on more projects in the near future. Thanks for your kind invitation, it was indeed a very pleasant evening that I would attend again if the opportunity arises. A panel of attendees was interesting as they were from different industries and seniority levels. The overall atmosphere was great, friendly and professional at the same time. Having everyone introduce themselves before dinner was useful, especially asking them to mention the different risks and difficulties they encountered was smart as it created link amongst us. Point of improvement: maybe try to create more interactions amongst all attendees during a presentation in asking for feedback or opinions. When it was done it was very interesting to hear people’s thoughts. I really enjoyed yesterday evening! I think you all did a great job in selecting the participants and making sure that they would all be present. Compliments for the friendly but decisive way in which you made clear that being present was “not optional”. The location was excellent. All courses of the diner where tasty. As far as the digitalization topic was concerned: The report showed clear results. It’s my pleasure to provide some feedback…. The dinner was great! Thank you – awesome event – excellent conversation /discussion with industries boffins… flattered to have been invited! I’m impressed by the discussions! Thank you for inviting me. I look forward to reviewing the slides. First of all: thanks again for the invite and pleasant evening. What I really liked was that you had an intro of all attendees and there were some really interesting people I connected with. Level and a mix of participants was matching my expectations. I had some good conversations and am happy to attend the next time. Looking forward to taking part in the Linkedin group! It was my pleasure to attend the executive dinner. The topic was interesting and transversal to all activities areas. The melting pot of activities areas and companies was a good point. Good organization and welcoming ambiance. Self-Introduction of all participants was nice to share digitization stakes. The dinner last night was lovely — a great mix of companies from relatively small to global giants, and industries. The attendees were open in sharing challenges and concerns and showed we have many of the same issues despite the differences in size and business type. Clearly, the topic was extremely relevant. It was also a very nice and lively group of people. The dinner was superb and the location was grand. Thank you also for arranging for beautiful weather and a full moon. I’d be remise if I didn’t point out how well run the event was. Both speakers from our host were well prepared, engaging and kept everyone’s attention. The slides focused the discussion but did not overwhelm with information to detract from the conversation. The other members of the event team were friendly, well organized and nimble, even arranging a change for dessert to allow us to enjoy ending the evening out of doors. Thank you very much for inviting me. I learned quite a few new things and really enjoyed myself. The event was very well prepared! to the point, not too many words, but guidance was always available. Really good! Intention of chauffeur service is very nice, but from my perspective not really necessary. Location in city center good choice, hotel attractive. Presenter “Fraud & ID” very vivid, interesting, catching – obviously good choice! Thank you for requesting our feedback. I spent a very interesting evening with many fruitful exchanges in a relax and nice atmosphere. Guests were all very interesting and diversified. It allowed me to better know the sponsor offers and diversity of expertise. Thank you again for gathering all of us. Thanks for the great evening yesterday. I really enjoyed the conversation I had with the many people I met. We all face the same challenges I learned. The venue was very good and also the open discussion we had. Love to hear more about the next event. Thanks for having arranged the event yesterday! Venue easy to reach, meal excellent! Topic was very interesting – I come from a different perspective from the people in the room as I run a business line for software products so I am responsible for define strategy for our products and for the P/L while most of the other people in the room were IT people focusing on changing IT infrastructure within their own organization. Anyway, I found that quite interesting and got involved in few good conversations about future of technology. Good selection of people from different industries & just the right presence from ForgeRock – didn’t feel like being sold too, more exposure to questions and areas we should be thinking about. Thank you again – food and wine were delicious! It was an interactive and informative event to share the challenges and opportunities ahead including Global Financial industry’s trends and shift in mindset to have a competitive edge. It was a well-organized event and I thoroughly enjoyed. It was a good open debate with insight shared all around. Great Event, very interesting presentation. Nice place, nice people, great organization! My feedback to the Executive Dinner is in general very positive as I was not expecting the setup in that way. The talk with all attendance enriched my knowledge with their view of the subject. Great organization. Great location. Excellent choice of attendees. Very good service by chauffeurs. The food was good and the service excellent. The venue had a great view over the East River from the terrace. I appreciated the networking opportunity and thought there was an interesting group of executives. Thank you once again for the invitation! The event was very well organized and informative. It was easy to get into conversation with all participants, to exchange on the subject, discuss business trends and future challenges, especially on the same table. I hope to see you also soon again! It was a very nice event, and I was enjoy to have time to discuss with sponsors around their services. The place was one of the best place in Paris and perfectly organized. I was also enjoyed to meet my peers for sharing ideas and good practices on Security over SAP. Thanks for the invite! Although I didn’t know who the sponsor was before, the evening was a good balance between networking and the sponsors’ education around the subject. I found the selection of invitees to be well done – already have connected with a few with mutual interests. Thank you for the organization and invitation to this meeting. Especially the mixture between meeting, networking, the introduction of everybody and the short presentation was perfect. Also, the level of the people was quite high. Thanks for having me at your event last evening. I thoroughly enjoyed it and hope to continue my engagement with SWS and look forward to participating at your events. It was a great event format, I enjoyed the conversations. This was by far the best industry event I have ever been to! It was a well-organized event. The food was excellent and a nice subset of people with different backgrounds and good open dialog. It was a great pleasure to be there, thanks again for the invitation. Thanks for inviting me to the event, it was great to attend. The topic was relevant and intriguing. I liked the format, it worked really well. It has been a pleasure attending this event – I usually select very carefully the respective events as I always search for an added value for business and of course for enhancing my horizon as I am curious to share experience. I enjoyed very much the choice of the location, the careful selection of the participants and of course the discussions as well as the short keynote. The evening was professionally hosted and the moderation was keeping the discussion ongoing very smartly. Thanks a lot for hosting me last evening. It was a great experience, from office pick up to the drop off back home all went very smooth. Food and beverages were great too and of course there is not much better it can get as it relates to the location. The event was very well organized and I appreciate the fact that it was not just a sales presentation. It was a very pleasant networking event. Looking forward for the creation of the LinkedIn group and possibly another event at some point the future. Thank you. The event was awesome. Well organized and structured. The organization of the evening was perfect, the content of the interventions also good. Well organized event. Thanks for the invitation. The dinner was nice. Great location. Also some interesting people at the dinner table and some good discussion. For me, it was time well spent. Thanks for the invite… I found it very informative but more importantly provided a platform for collaboration on the topic. I liked the open, interactive forum. It was a great event and very useful. I have enjoyed it. It would good if we can get a copy of the presentation and or people can share their experiences. Thank you for an excellent event and highest professional level of service. I had a great time at this event. The audience was small, and the quality of the attendees was excellent. It was also very well organized and run, and the speaker was really interesting and engaging. I would be more than happy to attend another one of your events. Thank you very much for the invite to the Select World Services’ Executive Dinner “Aligning InfoSec and Audit to Automate SAP Cybersecurity”. It was a great event, thoroughly well-organized round table discussion with executives; business leaders and security professionals from all industry sectors. Cyber security is among the most pressing issues facing the corporate world today, and companies are becoming increasingly vulnerable to attacks. It was a great opportunity to listen and discuss challenges with key stakeholders. I’d like to thank you and the entire SWS team for the wonderful event. I’m looking forward to the next one as I’m sure others are as well. Many thanks for the invite. Enjoyed the format of the event and opportunity to network. Only suggestion would be to split the main presentation across 2 or 3 different presentations to create a bit of depth on the topic. Many thanks for arranging that event. It was a great event and opportunity to meet all attendees in such a nice place. The dinner provided me with an opportunity to network with some new contacts and to have constructive discussions about the IoT. It was a great experience! Glad I joined! Thank you for following up and making sure I attended. Yes indeed, thanks again a useful and interesting event. The interaction between guests was excellent. Glad to join. It was a nice evening; I did enjoy it and benefit from my peer’s insight in the same time. Thanks for inviting me and well done for a well-organized event. It was a great opportunity to meet stakeholders and potential partners. IoT, as we have heard, is a new paradigm and we must think partnerships differently as well. It is not about 1:1 or 1:n. It is about n:m relationships that we have to build and jointly drive sustainable business. Thank You for the opportunity! I have learned a lot tonight! The event was well structured and organized. It gave enough time for meeting people and discussion. Thank you for the dinner. It was well attended and a good discussion. Great to see TSIA and JB Wood again as well as several other participants. This is a small networked world. I found the content relevant and people quite engaged. Thank you for hosting us. It was a robust and informative conversation. The event was very useful, and the mix of attendees helped making the discussions constructive and useful. Would love to keep in touch and hear more about the sponsor and its services. Apart from the organisation, I think the evening is less valuable if the organiser don’t speak French. We all were able to speak in English, but honestly our fluency, mine included, is not that good, and moreover having only one English-speaking person out of 8 makes it difficult to keep speaking in English. And quite rudely, sometimes, we spoke only in French. I had the feeling the conversation was more fluid at the other table. I hope my comments are of any use to you. Once again, thank you for your invitation. Firstly, I would like to thank you so much for the invite to the Executive Dinner. I had an awesome and enlightening session. It was very interesting how IoT was simplified and realized that we have always been working on Internet of Things. I took away a few things however one that stands out it the “you have to work with what you have and start identifying the pattern/outliers”. it was really great to network with people from different organizations’ and realize that we are all on the same path. It was a great and very insightful event. Most participants were very knowledgeable in the field and we had meaningful takeaways. I would love to participate in future events. Thank you for the event. The event was well organized. The diversity of attendees, the round table discussion, and the presentation were insightful and good knowledge sharing. The event was very well organized and implemented. The event was a most pleasant and appreciated experience. Probably the most valuable aspect was the networking meet and greet interaction beforehand. Insights from Dell were welcome and well presented. The Internet of Things is a relatively nebulous concept (in my opinion) and holds within it many and varied applications which companies can operationalize and monetize. The event was one of the much better events I’ve attended! It was a lovely event – very interesting to see the different industries. This was a very good event, with a good panel of attendee’s excellent organization and a good piece of thought leadership. Look forward to attending future similar events! good to have the opportunity to get to know the other participants during the welcome reception on the terrace. it was very nice of SWS to sponsor this event. good group of people, not too small, not too large; interesting discussions. for me, the time of the evening was well spend and I hope that I will have another chance to join you for another event like this.